A member of a German-Turkish mosque in southern German city of Bretten has allegedly been stabbed by 2 Gulenists on Wednesday, putting a spotlight on the shadowy network which Turkey says is responsible for the bloody coup attempt that took place back in July 15th 2016. Turkey’s deputy Foreign Minister, Yavuz Selim Kiran, first broke the news on twitter. He said “a board member of Bretten Green Mosque has been stabbed by Gulenist terrorists. What more needs to faced to understand how criminal FETO is.” FETO is the term coined by Turkish president Erdogan and widely used in Turkey to described Gulenist terror group. 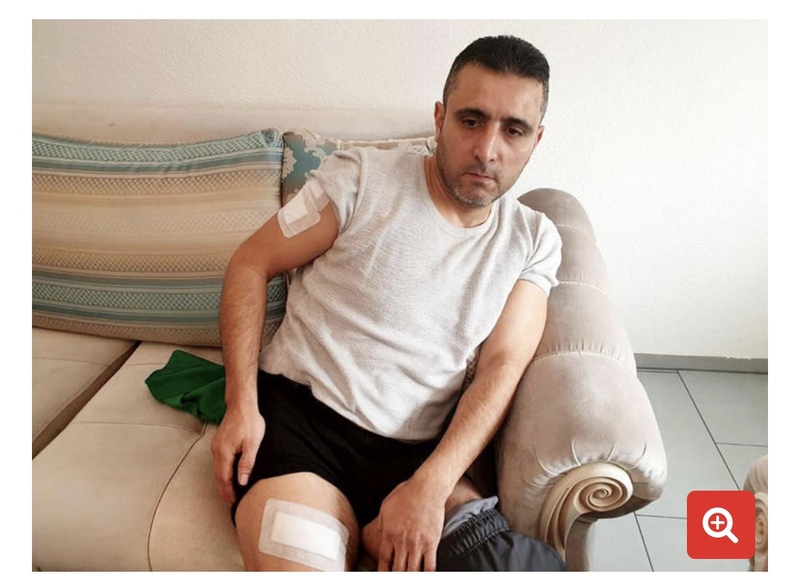 45 years old Savas Celik, stabbed on his arm, leg and chest was taken to a nearby hospital by a person who passed by right after the incident. Celik spoke to Turkish media after being discharged. He said he was threatened with knife and a pistol by two people when he went out to buy cigarette from a vending machine late on Wednesday. Celik was taken to a quite street and stabbed on three places there, according to his statement. The attackers identified themselves as Gulenists and ordered Celik to leave the sisters and the brothers alone, according to his statement. He said the Turkish community in Bretten is extremely small but he did not see the faces of the attackers. The Green Mosque is operated by German-Turkish Muslim body DITIB which released a statement following the attack. The head of DITIB, Kazim Turkmen, described it as a terrorist attack. He pointed out that a lot of responsibility falls on German police now to capture the culprits. Karlsruhe police also said in its statement that it was a religiously motivated attack. DITIB head Turkmen criticized the police for calling it religiously motivated and said it should be considered a terror attack. The alleged attack brought fresh arguments on if Gulenists could bring violence to Germany where more than 15 thousand of them took refugee following the failed coup in Turkey. Germany acted generously when granting refuge status to Gulenists, sometimes by even violating its own laws, according to inside sources. However, those who are familiar with the Gulen cult doubt that it would resort to violence in Europe despite attempting a coup in Turkey which murdered 251 people. “Violence would harm the fake peaceful image Gulenists have been trying to built in the west,” said a person who asked not to be identified. German-Turkish journalist, Elmas Topcu, also posted a tweet claiming something fishy about the incident.